Kittery-Tobu 20th Anniversary Exchange Celebration! April 26 – May 1st! 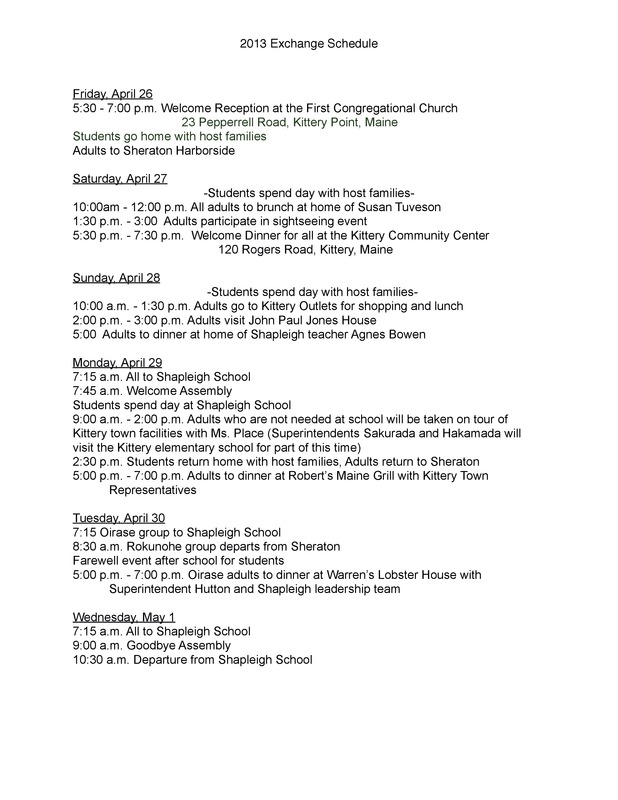 The town of Kittery, Maine and the Shapleigh school system will be celebrating their 20th Anniversary of exchange with Aomori by hosting a student exchange from the Rokunohe and Oirase regions in Aomori Prefecture, Japan from April 26 to May 1! The picture below provides a simplified itinerary of events that are planned to take place! If you would like to get involved with this upcoming celebration, with educational exchanges between Maine and Aomori, or with the Kittery-Tobu Exchange Program, please contact us at https://maine-aomori.org/contact/. You can find the Kittery-Tobu Exchange Program’s website here at http://kitterytobu.wordpress.com/. The American Radio Show recently interviewed the former ambassador to the United States Ichiro Fujisaki! 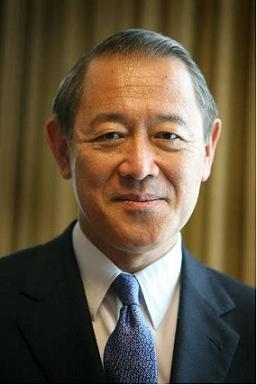 Spanning a variety of topics, Fujisaki-san discussed education, American politics, the US-Japan relationship, security issues for world leaders, March 11, 2011, and how to be a good diplomat. Please go to the following two links to listen to the interview! There will be a joint MASSAC and Friends of Aomori meeting this Tuesday April 2nd from 4:00PM – 5:30PM at the Children’s Museum in Portland, ME. 142 Free St, Portland, ME 04101. EDIT: The meeting should take no more than an hour and a half. Everyone is welcome to attend! Hope to see you there!